Should Medical Debt Affect Your Credit Score? In many cases, medical debt builds up for reasons beyond the debtor's control, so is it right that medical debt can hurt your credit score? Many consumer advocates say no. The reality is that medical debt can devastate your credit score, but consumer advocates argue that this kind of debt isn't a good indicator of credit risk and shouldn't be considered when consumers are trying to get a car loan or mortgage. Once medical bills go unpaid, the debt will remain for seven years on a person's credit report. Under federal law, once those seven years are up, the debt is dropped from the credit report. Bankruptcy is different, however; a bankruptcy will stay for 10 years on your credit report. It is possible to contest or negotiate medical bills, and consumers should be aware of their options for reducing their debt as much as possible. There is also the possibility that a collection agency has faulty information, or that the medical provider has overcharged for services, or that insurance should have covered the services but didn't. In any case, when medical debt becomes overwhelming, New Jersey residents should be aware of every available option for achieving debt relief. 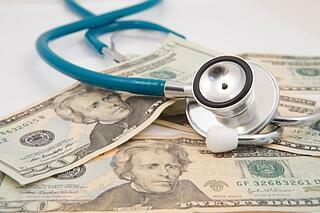 If you need help with medical debt from a New Jersey bankruptcy attorney, contact us today.